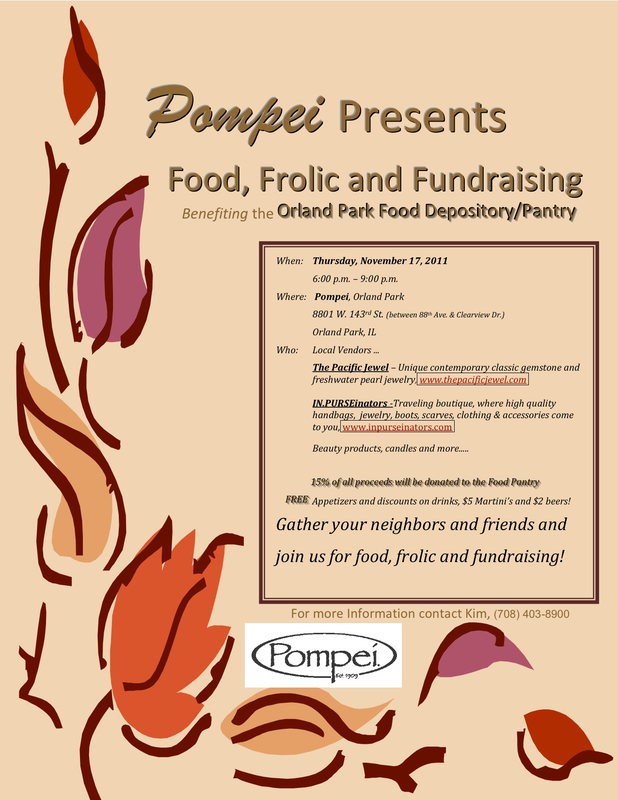 Come on out this Thursday night to Pompei restaurant in Orland Park for some great food, a fun time and a wonderful cause! From 6pm to 9pm free appetizers will be served, discounted drinks will be offered and vendors will offer a multitude items to help you complete some of your holiday shopping. Bring a non-perishable food donation for the Orland Township food pantry! This entry was posted in Food, Local Businesses, Uncategorized and tagged charity event, ladies night out, Orland rownship food pantry, Pompei Restaurant. Bookmark the permalink.